How to tell if your financial promotions are out of control. And – importantly – what to do about it. You’re in control of your financial promotions, right? The adverts, web pages, brochures and publications your business produces. Of course, anything you produce within your team is easy to keep track of. And hopefully your compliance processes work like clockwork, so everything has the required sign-off before it gets published. …someone in another team, or another office, wants to tweak a brochure. Or produce a localised version of a one-pager. Or design a personalised edition of that PowerPoint you created. How can you keep control of all this collateral? How can you be sure that they follow the right brand and Compliance team approvals? How can you make sure the information they contain is accurate and up to date? How do you even know what’s out there within your business? How can you tackle each of these threats? This is one of the biggest problems when financial promotions spin out of control. Your brand will have prescribed fonts, imagery, tone of voice, colours. When teams all over the firm are producing materials – how do you know they are on-brand? A consistent brand gives your customers reassurance. It makes your firm memorable, visible and trusted. Make sure any teams producing FPs are aware of your brand standards. Make it easy for them to access and share consistent agency briefing documents. Explore online document and slide libraries that can ‘lock down’ branded content, imagery or logos to avoid brand slip-ups. A searchable library of presentations, slides, videos and images can make finding and sharing approved content easy. Financial promotions have very strict regulations on content, disclaimers (including prominence) and sign-off processes. The more materials are produced all over your organisation, the higher the chance that some breach these regulations or other, local, rules. Automation can help here. An automated workflow tool can help teams in different offices or countries to collaborate. Marketing automation can build in compliance approvals, making sure no rogue publications slip through the net. Making statements that can’t be substantiated, or including outdated corporate data – two big no-no’s when it comes to regulatory compliance. And of course, they’re also risks to your corporate reputation for accuracy and honesty. 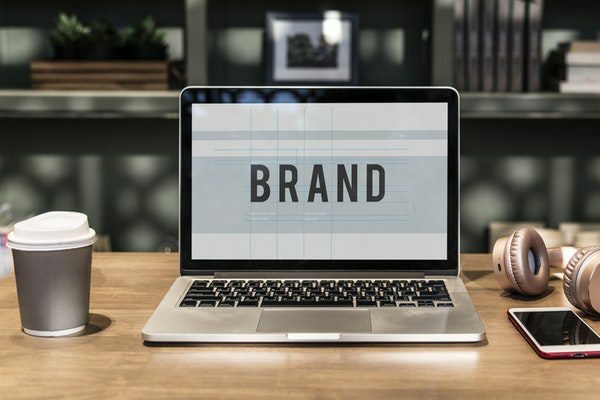 As with branding, a slide or document library can help to ensure only the latest corporate stats – like AUM, employee or office numbers or other data, is included. Watermarking slides that haven’t yet been Compliance team approved; ensuring all slides are updated in line with a tweak in one – an online slide library can improve your accuracy in many ways. All of which becomes crucially important when you’re talking about a range of people and offices producing materials. Spare a thought for the poor people across your business tasked with localising all this material. Making updates, getting the business to sign them off, publishing and sharing content. On top of that, compliance approval adds an extra layer of admin. In regional offices, marketing can often fall to people with other ‘full time’ roles. Finding the time to produce and get approval for all this material can be the final straw. Help them out by reducing the amount of admin they have to tackle. Putting in place online briefing, collaborative reviewing and an automated Compliance approvals process can minimise manual input, duplication and rework. With all this financial promotion creation going on across the business, it’s likely that your central team has completely lost track or control over what’s being produced. This leads to unnecessary work: you need to get a grip on the material out there. You probably need to spend time correcting incorrect, off-brand or non-compliant promotions. And you need to try and prevent things spinning out of control in future. Again, an automated workflow can help here. Having visibility of what is being produced; being able to review documents online in real time, and transparent approvals workflows prevent non-compliant materials getting through. We offer a complete solution with a range of self-service, cost effective, Regulatory Compliance and Marketing products and solutions including Financial Promotion copy advice that are uniquely suited to supporting firms. Explore our full range today.